Lindenwood University President James D. Evans, PhD, has announced his retirement effective May 31, 2015. Responding to an anticipated demand for leaders in the nonprofit field, Lindenwood University is launching in fall 2014 a combined BA/MA program in nonprofit administration. Students in the new program, which is unique in the St. Louis area, will be able to earn a bachelor’s and a master’s in just five years. 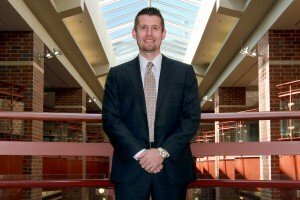 Dr. Ryan Guffey, who has served as Lindenwood University’s assistant vice president for student development and special projects for the last seven years, will be promoted to the position of vice president for student development and global affairs, effective July 1. The post was formerly held by Dr. John Oldani, who retired at the end of May after serving in it for seven years. The Lindenwood University School of Communications will host its sixth annual Film and Television Camp this summer for high school students interested in learning production skills. Sessions are scheduled from 9 a.m. to 4 p.m. daily, June 16-20. Rachel Morgan, a graduate student in the Lindenwood University School of Education, has written a children’s book, Building Forever Friendship: Strategies to Help Your Friend with Autism or Other Special Needs at School, which was recently featured on KMOV Channel 4’s Great Day in St. Louis program. Lindenwood University’s 2014-15 Speaker Series will feature six exciting and thought-provoking individuals, including the author of Orange is the New Black, Marvel Comics editor Bill Rosemann, and actors Giancarlo Esposito and Kal Penn. 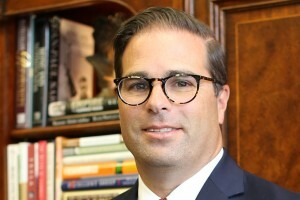 Lindenwood University has appointed Brett Barger to the position of associate vice president for operations and finance and chief purchasing officer. 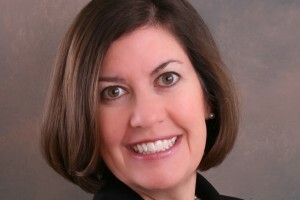 Previously dean of evening and graduate admissions, Barger started the new post on May 1. Lindenwood University has named Willie Broussard dean of its Center for Distance Learning, a new position. He takes the post on Thursday, May 1. Lindenwood University has named Gina Ganahl dean of its evening accelerated programs, the College for Individualized Education. She takes the post on Friday, May 2, replacing longtime dean Dan Kemper, who is retiring. The Lindenwood University Department of Criminal Justice will host its annual criminal justice institute from 9 a.m. to 3 p.m. June 9-11. The three-day camp will take place on the St. Charles campus and will present participants, age 14-18, with a wide range of activities and presentations offered by criminal justice professionals.